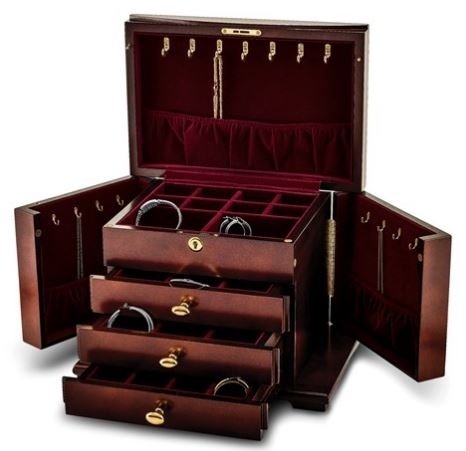 Top locking wooden jewelry box with three drawers and two side opening side cabinets. 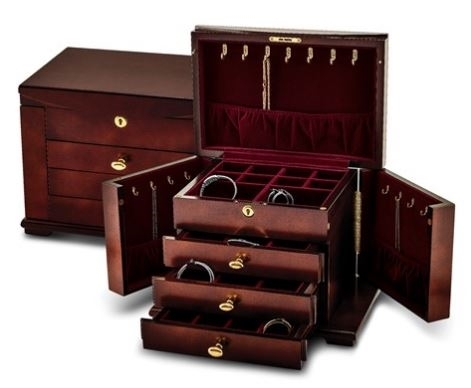 The deep red lining is luxurious and the three drawers, top, and side cabinets make this the perfect jewelry box for lareger-sized jewelry collections. The three drawers have variously sized compartments. The top section contains multiple compartments, and the 15 necklace hooks with a necklace pouch will protect all of her necklaces. 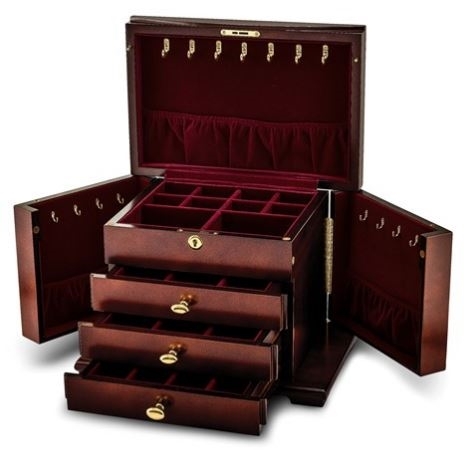 The 3 drawers are made up of various sized, fully lined compartments. 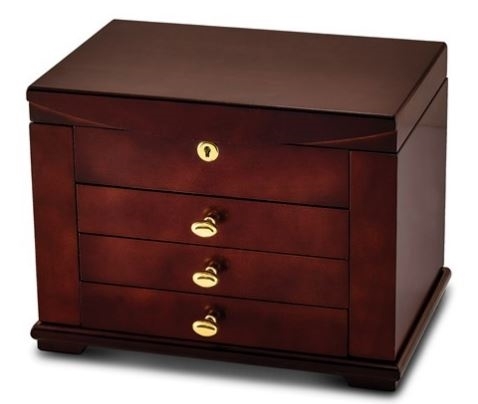 This elegant jewelry chest measures 14" wide x 9 1/2" deep x 10 1/4" high.